Hi everyone, we've recently released iAntiVirus beta 2! 1. Addresses a scan issue reported by 2 of our external beta testers. 1. Click the Smart Update icon on the top right of the iAntiVirus main window. The iAntiVirus beta was released recently and we are looking forward to everyone's comments! Please leave any feedback you may have on the forum. If you haven't already done so, download iAntiVirus v1.0b from the iAntiVirus website. Tell us what you like, dislike and also what you would like to see in future versions! The iAntiVirus database has been updated to include a trojan which has been seen in the wild exploiting the Apple Remote Desktop vulnerability. Please be sure to run Smart Update and get the latest protection! The document is in PDF format and it contains more than 200 pages of detailed instructions and recommendations for Mac OS X "advance" users. 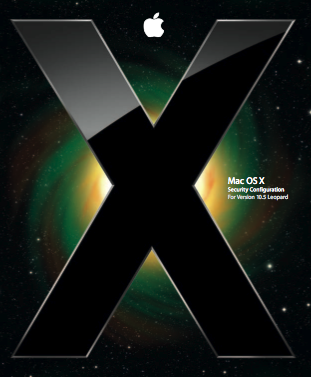 While most Mac users are complacent in securing their computer against online or digital threats, this intensive document under Advance Security Management advises Mac OS X users to install Antivirus Tools and Intrusion Detection Systems. 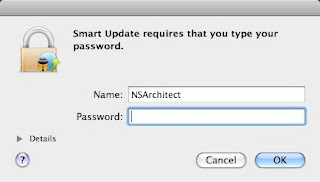 Definitely, Apple acknowledges the importance of hardening computers and in today's prevalent threats such as Zlob's DNSChanger for Mac, it is no doubt that these internet security tools will certainly help users in keeping their computer safe. This is Methusela Cebrian Ferrer and I'm now signing off. Apple released its third security update for this year where it fixes 40 security vulnerabilities found in different components of Mac OS X operating system. It was just two months ago when Apple released its gigantic update fixing over 90 vulnerabilities. That security fixes is still unbeatable compare to this month update. Security Update 2008-03 addresses 16 critical vulnerabilities which may lead to arbitrary code execution. Mac users can manually download the patch from Apple Downloads.